Strategic objectives are achieved when appropriate ICT solutions are available. For relationship management, CRM software is what improves interaction with the market. 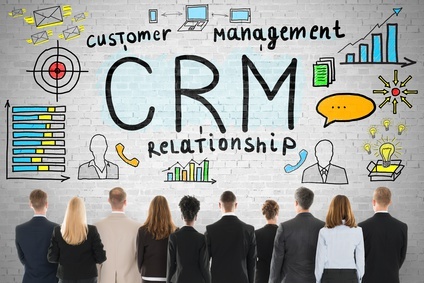 At this point, the term CRM has become a container for all forms of relationship management. Cloud CRM, ERP-CRM, integrated CRM, CRM accounting packages and free CRM are all part of this. FVO Marketing acts as an extension of Archie Europe. With us you are in good hands. We help you and your organization to the next level. The very user friendly Archie software has been developed in association with users; bottom-up. This user-friendliness results in an optimum of functionality. On premise or as SAAS. Archie is available since 1986. This comprehensive and very easy to use system will surpast your best dreams concerning CRM. Archie incorporates e-mail and has automatic file formation. Available in several languages the software can be used in all available languages at the same time. In the selection of data and the planning of the application we have wide experience. Also in later phases during the setting-up of CRM in your organisation we stand you by with expertise and profitable advice. Training live or online for groups or individuals. Rates of software and services are availlable on request.